Alter The Press! : You Me At Six Announcing US Tour Next Week? You Me At Six Announcing US Tour Next Week? 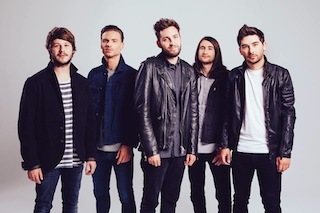 You Me At Six have revealed that US fans can be expecting some news next week. Could this be the spring tour announcement that we've all been waiting for? Nothing is confirmed at this stage, just speculation (and wishful thinking). A message from guitarist Max Heyler can be found below.